a TRUFFLE should look like a TRUFFLE. that's why it's called a TRUFFLE. smart little pigs root these craggy little knobs out of the dirt. so...they should look like craggy little knobs that some smart little pig has rooted out of the dirt. AND there's the little fact that it's a lot easier to mold a little knob than a prefect ball when dealing with chocolate in the summer heat...know what i'm saying? 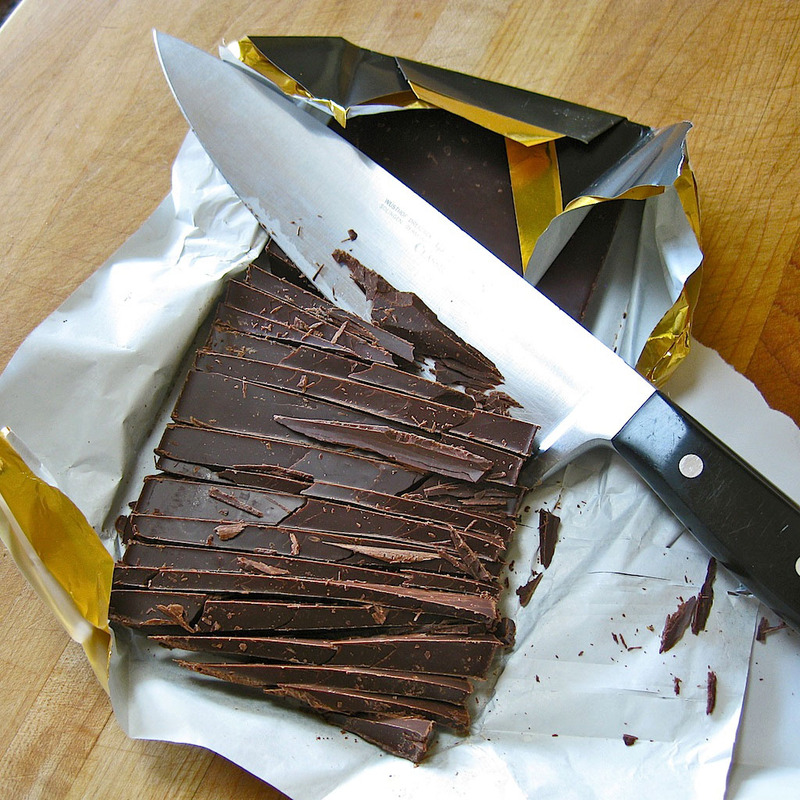 so why would you waste your time and effort on inferior chocolate ?! take off the heat and pour chocolate mixture into a smaller bowl. add balsamic and stir until incorporated. **NOTE...this did NOT work for me. i was left with a gooey mess that would instantly melt to the touch. i almost trashed the whole batch thinking i had used the wrong balsamic or something...i gave up and left it on the kitchen counter over night and VOILA !...perfect consistency for knobs and balls. 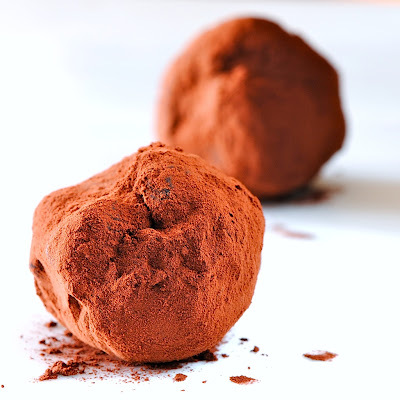 when it is easy to scoop...should be about like ice cream...make little balls (or knobs, as i prefer), and drop them in a dish filled with cocoa powder. gently roll them around to coat. place them on a parchment or wax paper lined tray and EAT...or best to put them back into the fridge for a bit. i like to do about 4-5 then put them in the fridge so they don't get a flat bottom while sitting out. just remember to take them out and bring to room temperature before serving. 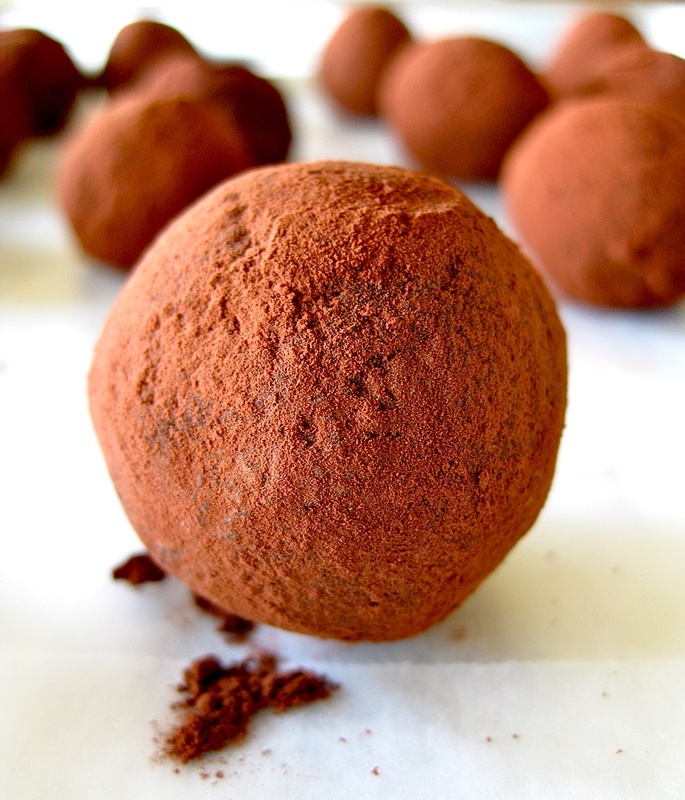 photo below is of the truffle balls. i think the cocoa knobs are much cuter. if using nuts or another coating, balls work well. It all looks very yummy!!!! hi Clouds...thanks for the comment...hey...i might be interested in your "adapted" recipe for your high protein diet. hope to hear from you sometime. I need a way to organize your recipes that you post that I want to make ... this one sounds amazing!